I'm so excited to be able to tell you all about the awesome things God is doing in my life and the new journey I am embarking on. 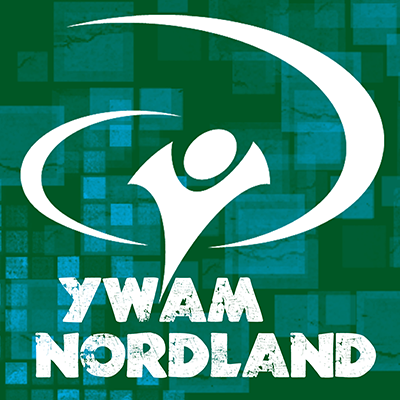 For those of you who don't know, God has opened a door for me to go to Norway for 9 months and complete a REACH Discipleship Training School (DTS) with an organization called Youth With A Mission (YWAM). A DTS is all about Knowing God and making Him known. It is about missions and reaching out to the world to bring Jesus' Kingdom to earth. REACH stands for Restore the nations through Evangelism, Acts of Mercy, and Church support out of a Heavenly perspective. As you can see, a DTS with a focus on meeting people, reaching out to the people of the north, and showing Jesus through different, creative ways of evangelism. The REACH DTS was developed to train and equip people to reach out to the world with Jesus' message of salvation and freedom! We believe that reaching out in teams is a strength, in evangelism, in mercy ministry, meeting people. It will be a DTS full of travelling, to small villages, larger towns, islands in the sea. It will be the utmost opportunity to grow in ministry, team work and leadership, in all kinds of ways. Sports, music, prayer, listening to God's voice, evangelism, healing and worship, it all has an important place in possibility in this DTS. The program consists of 14 weeks of teaching at the base in Northern Norway, 6-8 (separate) REACH weeks: evangelism, practical help, events, youth work (high schools, clubs,..), and 8-10 weeks of main outreach to Asia, Africa, Europe, the Himalayas, Greenland, or where ever God leads. 2: PRAY FOR ME! Perhaps this should be number 1 as your prayers are even more important than anything else. I am confident that God will get me to Norway, but it is your prayers that will sustain me in this season of preparation and as I go abroad to proclaim the Gospel. God is preparing my heart, so please pray my strength in Him and for those who will be impacted as we minister. It is only through God that we can do anything. Whether we are planting seeds in people's lives or even watering seeds that have already been planted, we accomplish nothing if we don't do it out of God's love. So please pray that God would open my heart to be able to pour our His love to these people and to receive His love and correction through the people I will meet. And pray for anything else that God places on your heart. 3. WRITE LETTERS! I know this sounds odd, but it's so encouraging and uplifting to be able read messages that people have written when you're far away from home. I keep them all. So feel free to write away before I leave. 4. SHARE! SHARE! SHARE! Please share this with the people you know! Whether that be that be on Facebook, Twitter, Google+, that website you just made because you want to help me out, all of the above, please share. 5. COME PACK MY SUITCASE! I'll keep you all updated as I learn more information about my trip. A huge thanks for all of your support and love! I love you all. God loves you more!